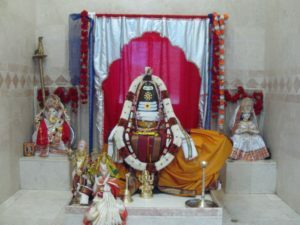 Bharatiya Ekta Mandir is a Hindu and Jain Temple. It has been designed with traditional Indian architecture and has five shrines including, Mahavir Swami, Bhagwan Adinath and Parshvanath, Lord Shiva, Parvati, Ganesh, Lord Krishna, Radha, Srinathji, Lord Rama Sita, Lakshman, Hanuman, Lord Venkateshwara (Balaji), Bhudevi & Sridevi. On Saturdays, Sundays & Special days temple remains open from 10 AM to 8 PM. 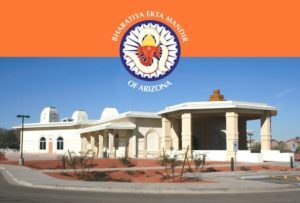 The Indo-American Cultural and Religious Foundation of Arizona was founded in 1987 by a group of visionary community leaders with the goal of keeping the community united. They helped support the Indo-American community’s social, cultural and religious activities in the metro Phoenix area. Construction of the Community Center (located at 2809 West Maryland Avenue in Phoenix) was completed in 1988. More than half an acre out of the total 2.5 acres of land was reserved for building a religious center. By the time the loan for the Community Center was paid off in 1994, the fast-growing Indo-American community was drawing larger attendees for the events at the Center and it was becoming clear to us that we needed more space for parking and other facilities. The Foundation’s Board of Directors formed a “Temple Feasibility Committee” in 1999. 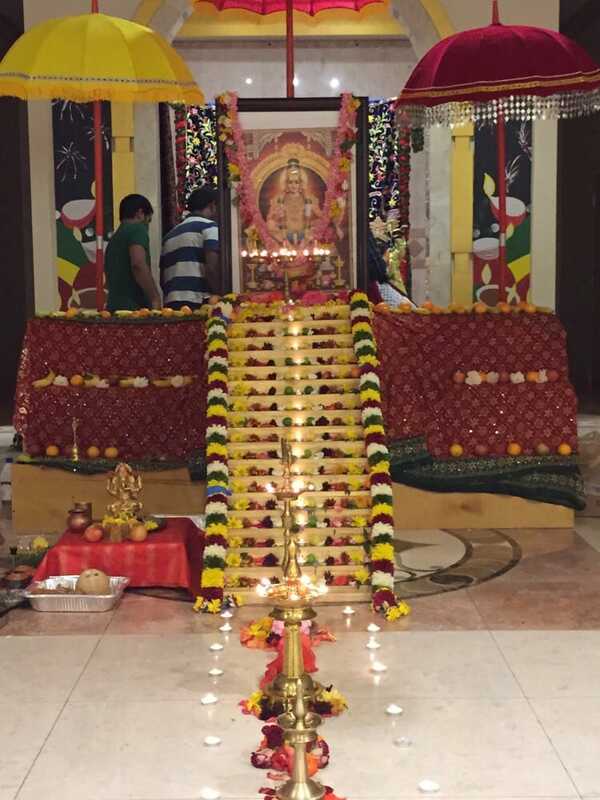 The committee determined the financial requirements needed to build a temple and located suitable land as well. In the early stages of planning itself, they wanted to ensure that the Community Center operations and finances would not be impacted by the building of a religious center. Fortunately, a group of community members (most of whom are active Foundation members) agreed to partner with the Foundation to purchase approximately 4.5 acres of land directly across the street from the Community Center. 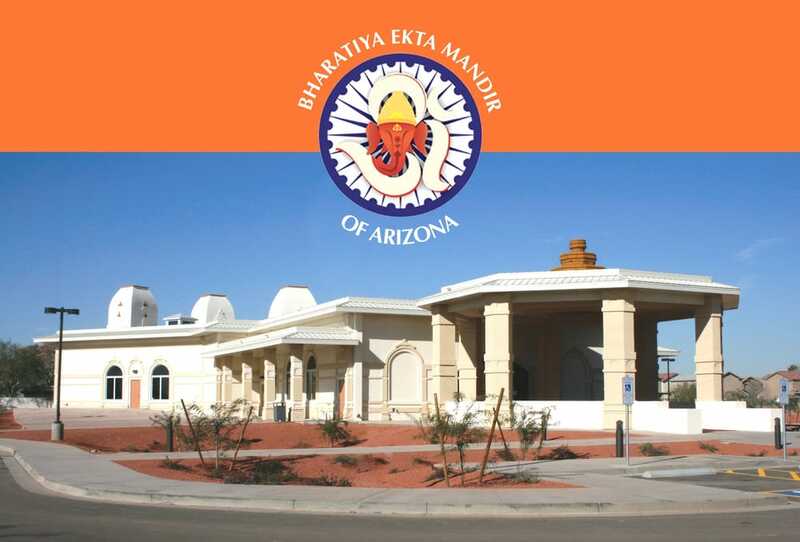 To reduce the operational and financial impact to the community center, Bharatiya Ekta Mandir of Arizona (BEMA) was established as a non-profit organization in the year 2001. The intention was to develop the religious center and make the Temple project successful before bringing BEMA under the Foundation umbrella. For Seva details & ticket prices please visit the website here.